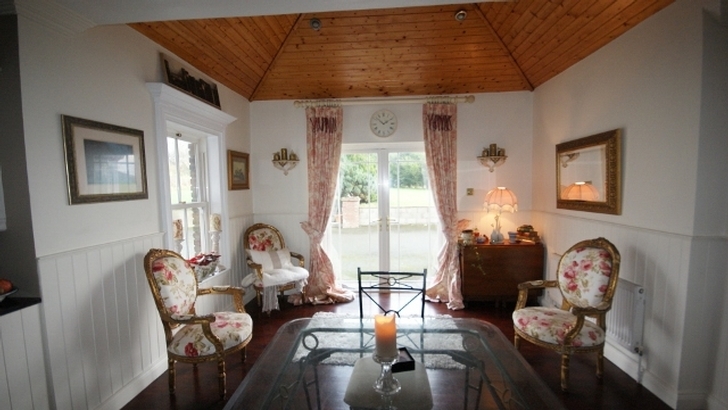 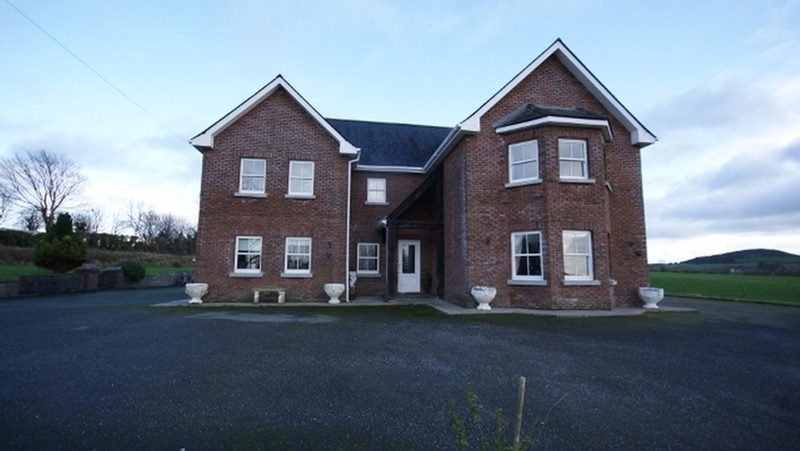 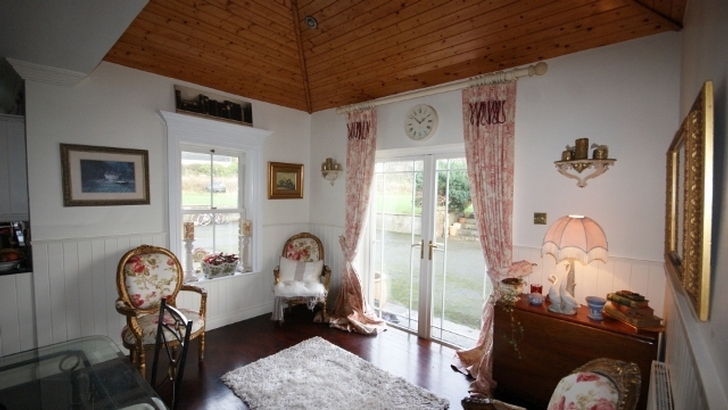 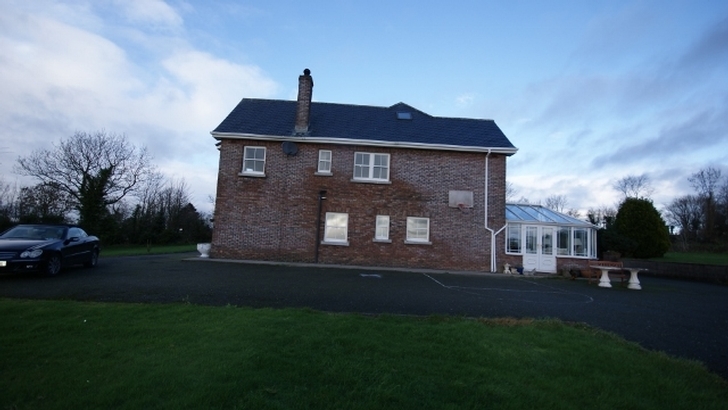 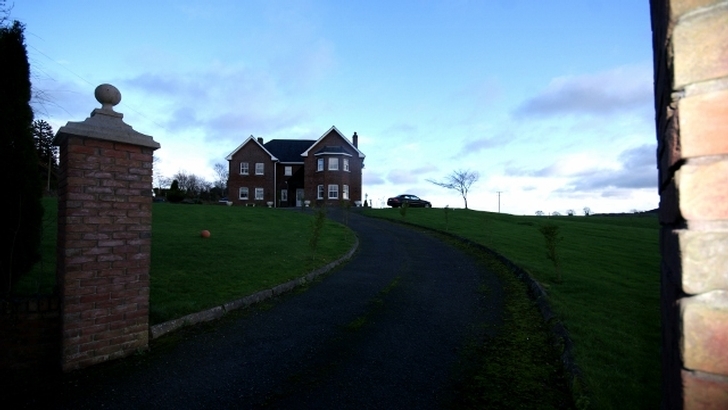 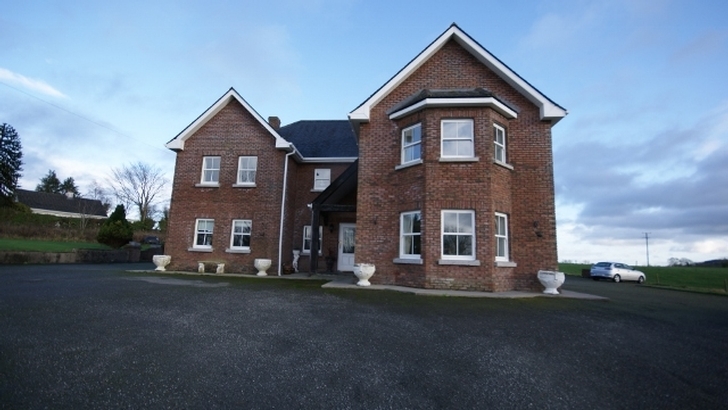 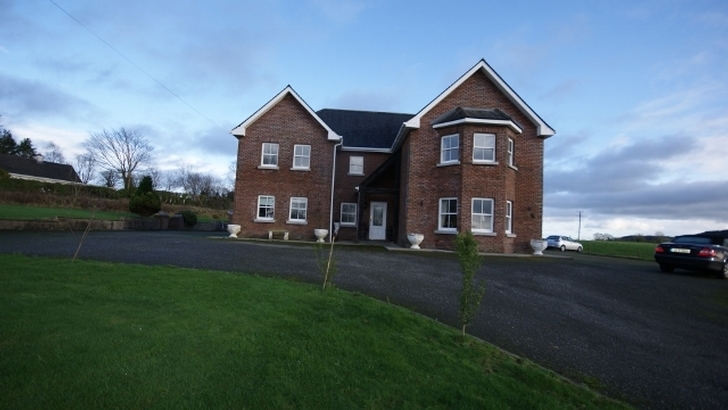 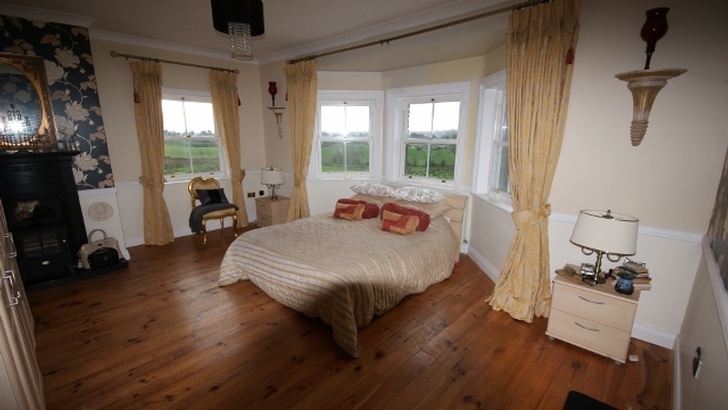 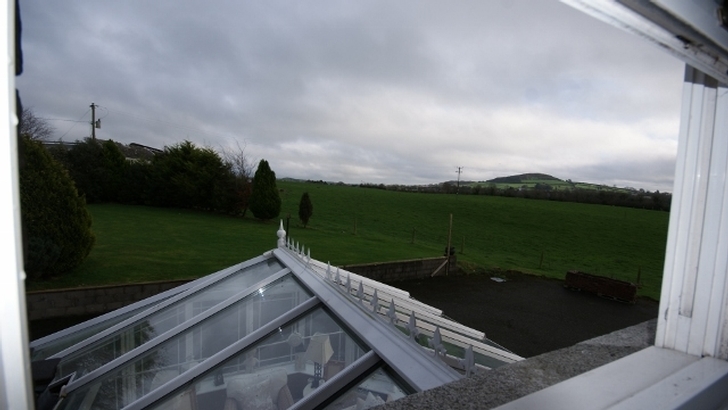 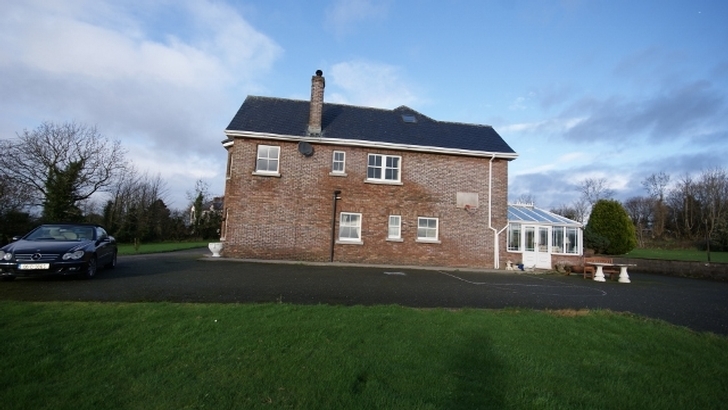 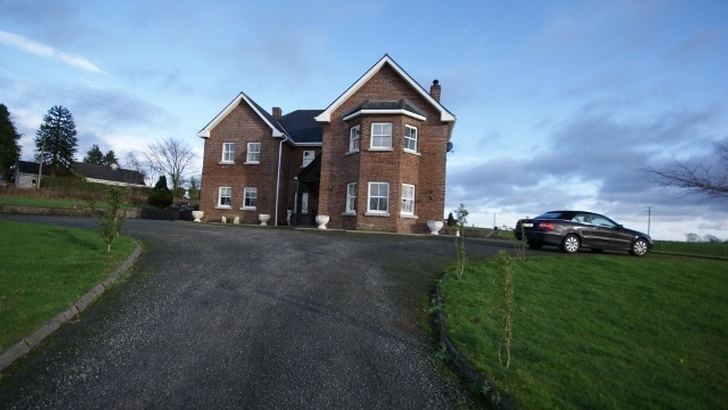 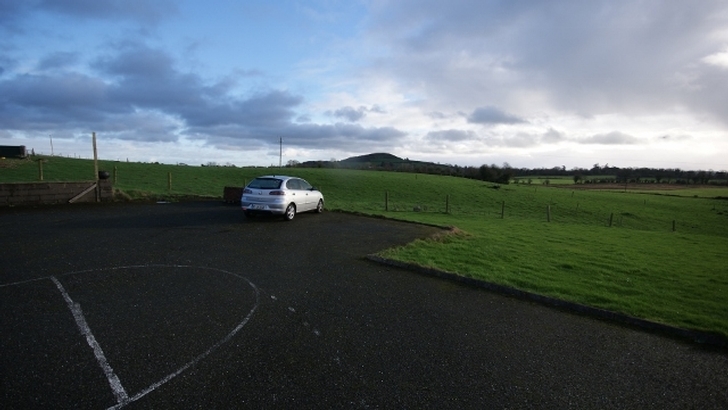 on Large 1 acre site with fabulous views of Lough Ramor and the countryside. 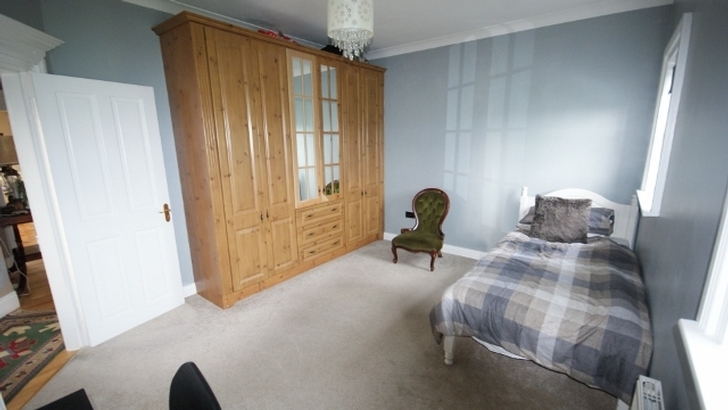 Lots of storage space in attic. 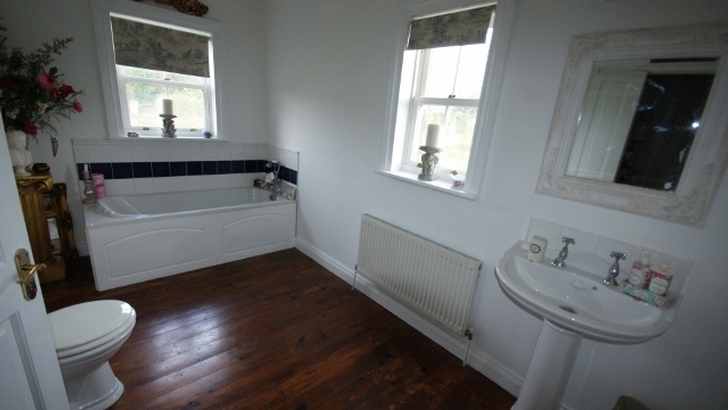 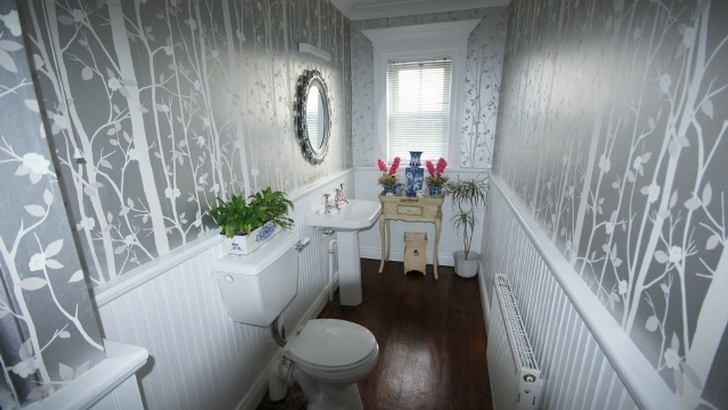 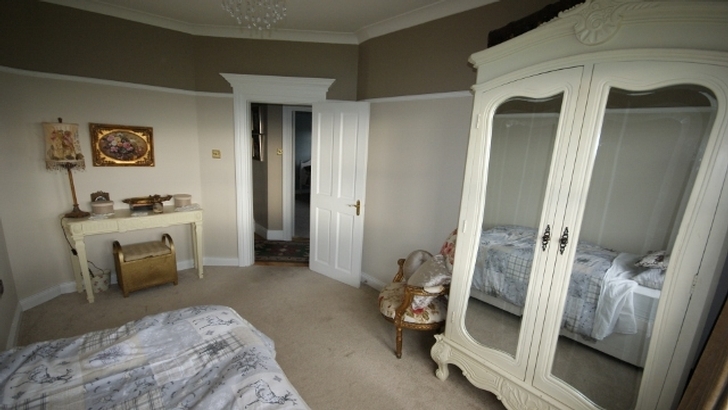 Moulded Skirting boards & architrave around all doors and windows . 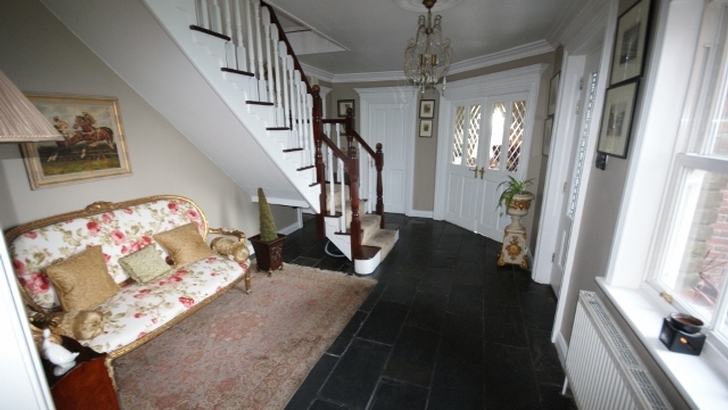 Hall: 15'1" x 11'1" c/w Slate floor, coving and down lights. 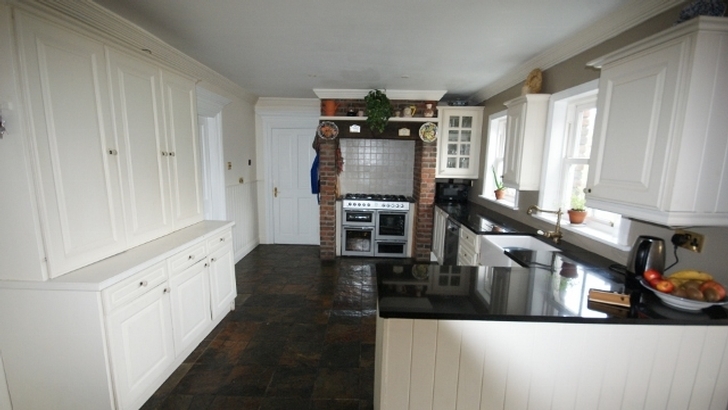 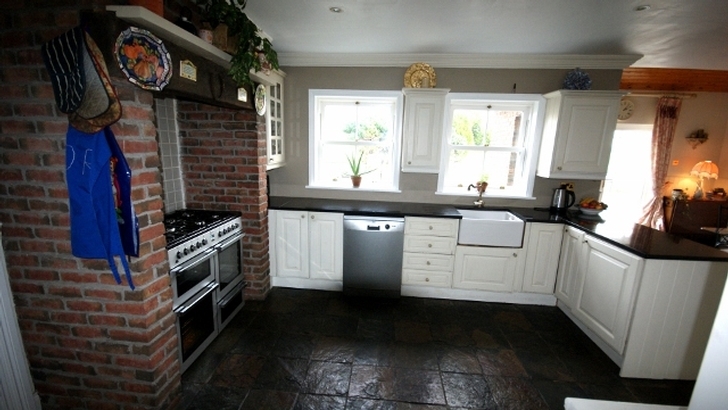 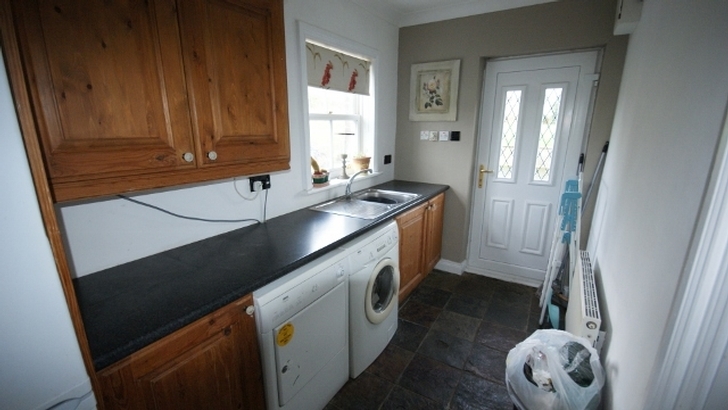 Kitchen/Diner: 23'10" x 20'7" c/w Italian slate floor, White solid timber fitted kitchen with granite worktops and Belfast sink, feature red brick surround for Flavel Gas and Electric Range. 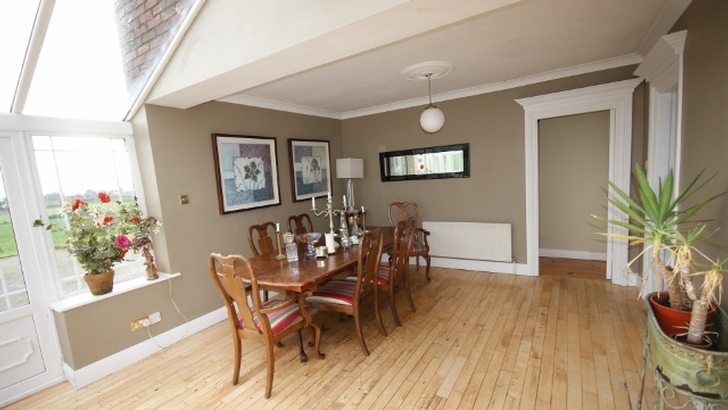 Dining area has panel walls, coving and patio doors. 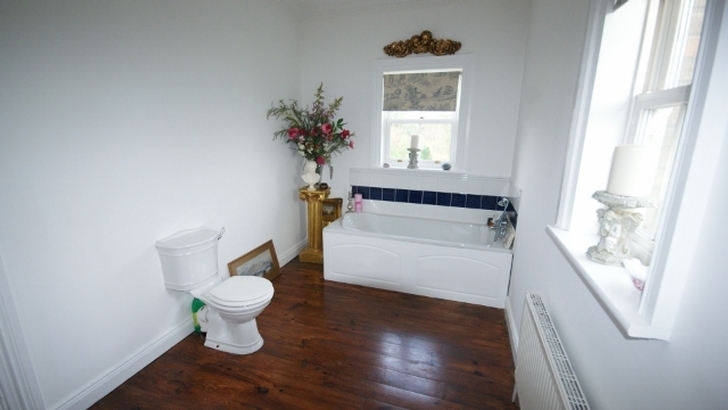 Utility: 11'5" x 4'0" c/w Tiled Floor, Solid timber units, Sink unit, Coving and Back door. 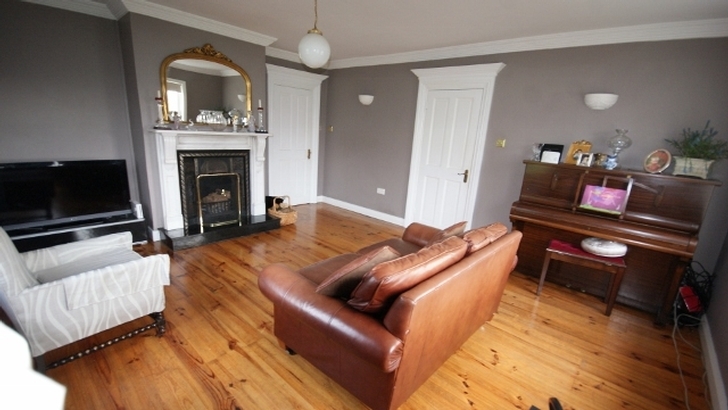 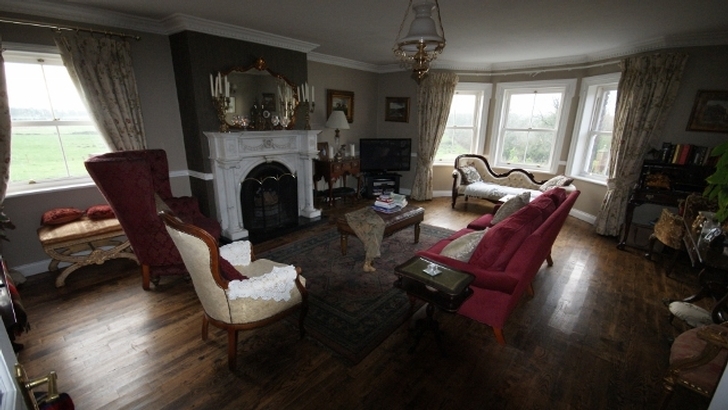 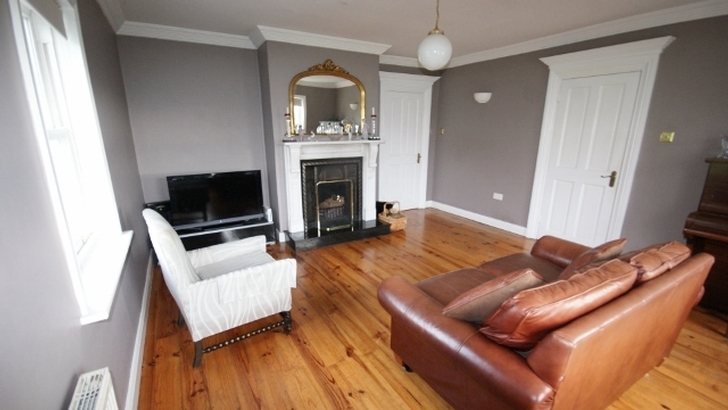 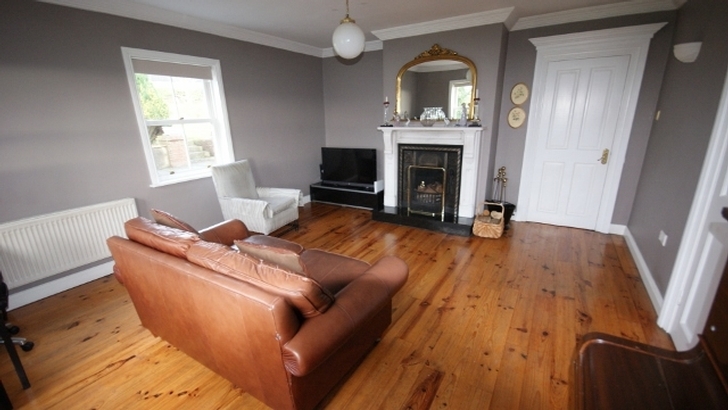 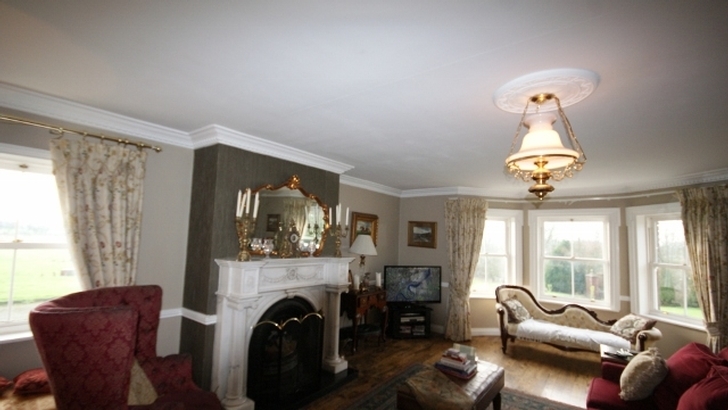 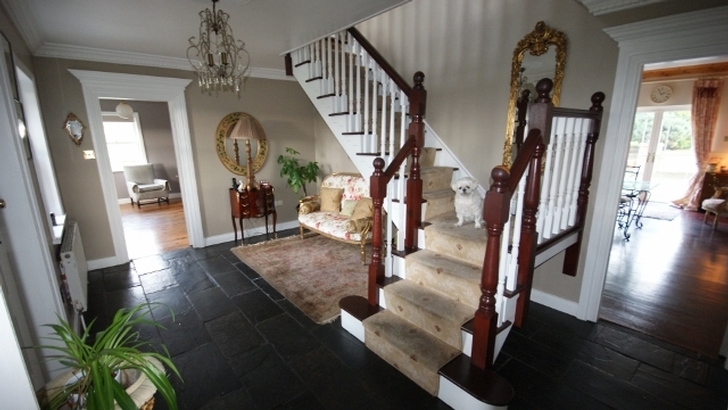 Living room: 16'5" x 14'0" c/w Solid wood floor, Solid marble Fireplace with iron insert , Coving & Centre piece. 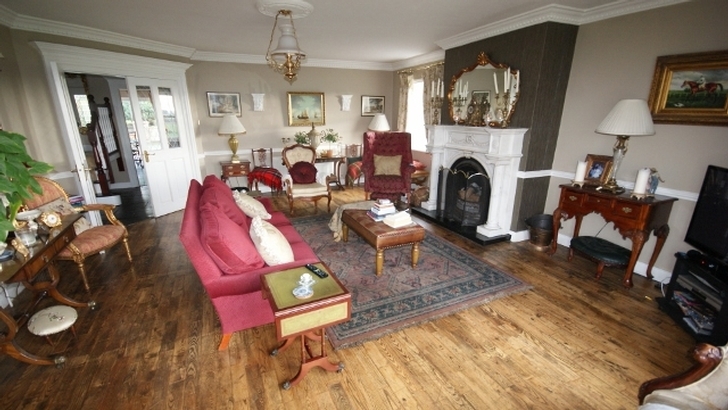 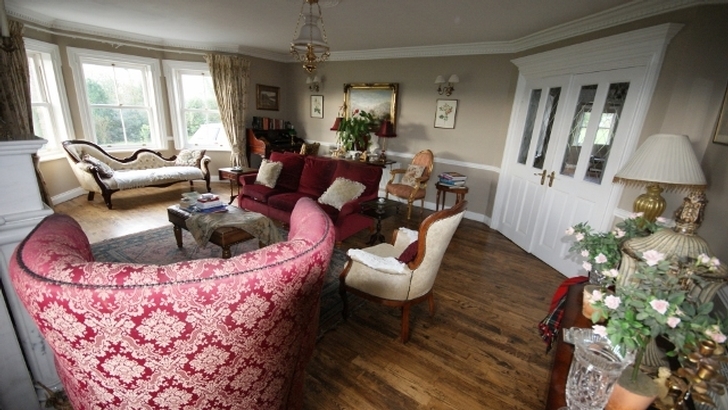 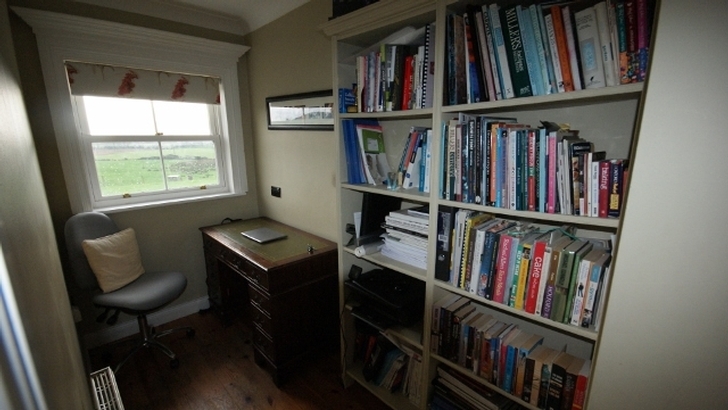 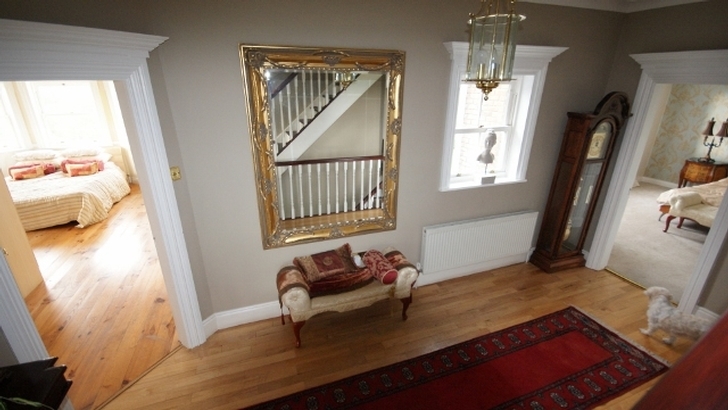 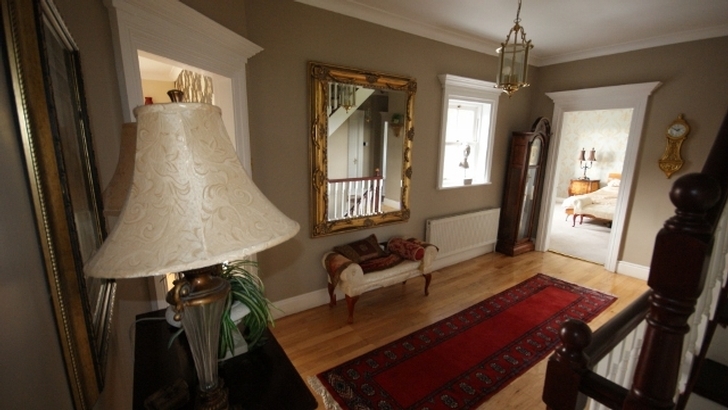 Dining room/Study: 9'0" x 4'3" c/w Solid wood Oak floor, Coving & Centre piece open plan to conservatory. 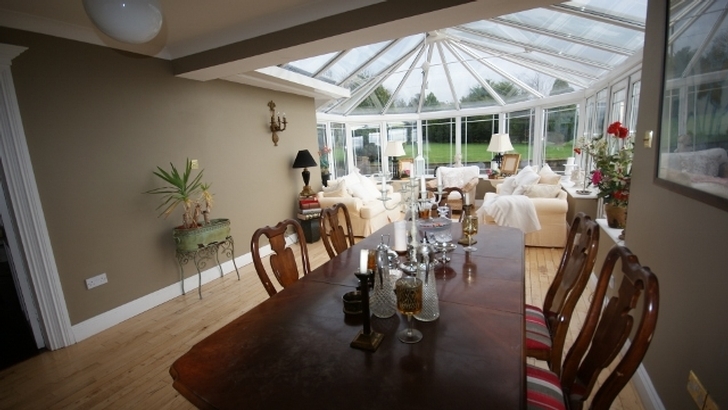 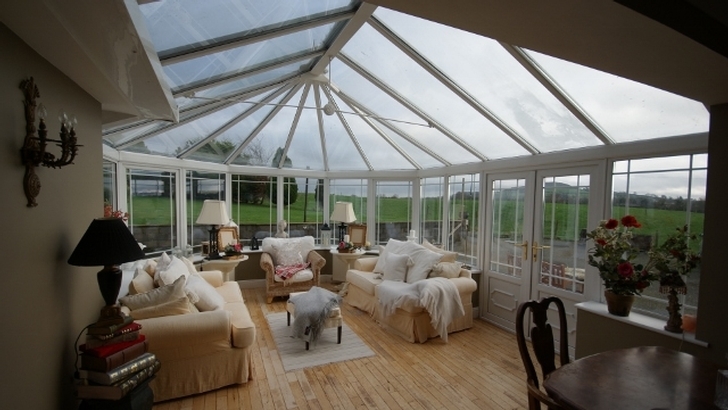 Conservatory: 25'8" x 12'0" c/w Solid wood Beech floor, Open plan to Dining room, Double doors to side garden. 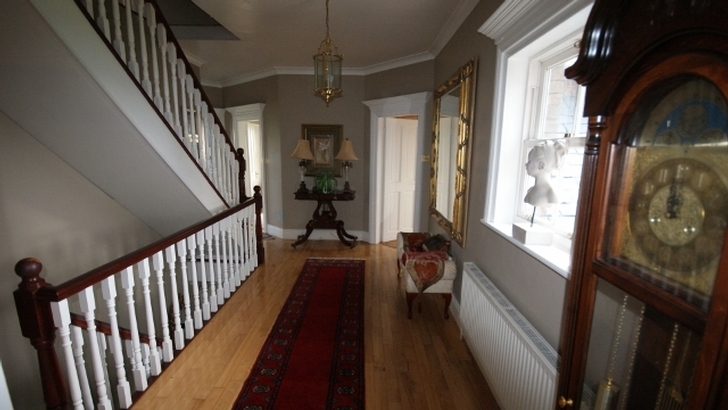 Landing: 15'10" x 11'0" c/w Solid Beech Wooden Floor, Coving. 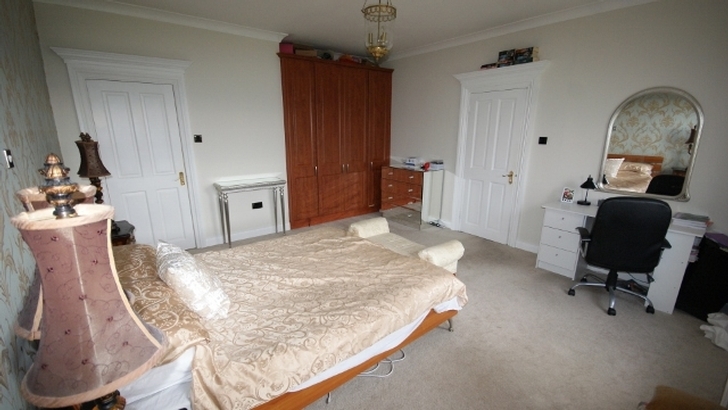 Master Bedroom: 17'3" x 15'0" c/w Carpet, Coving, Fitted wardrobes En suite|: 8'0" x 4'0" Triton electric shower. 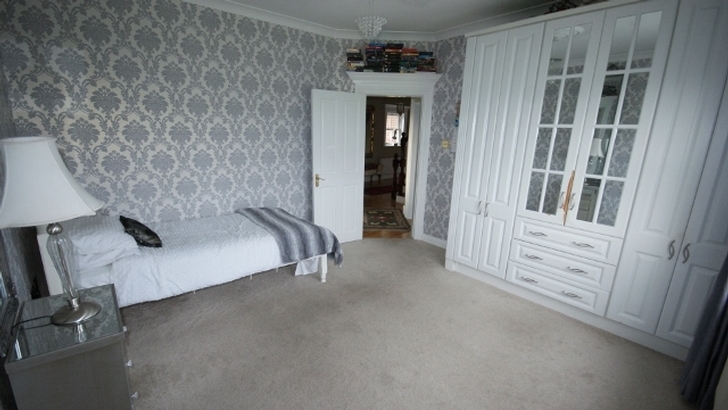 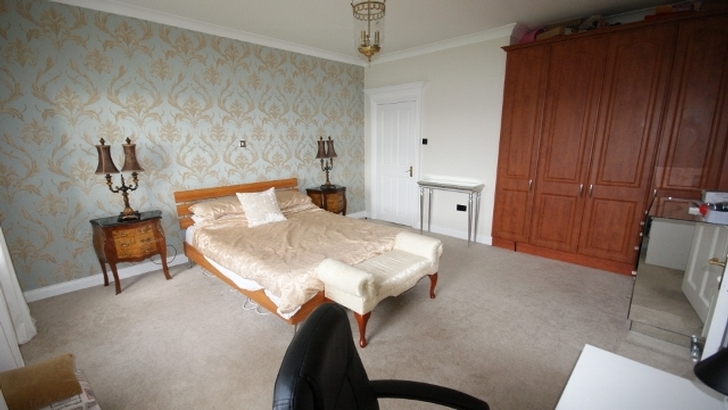 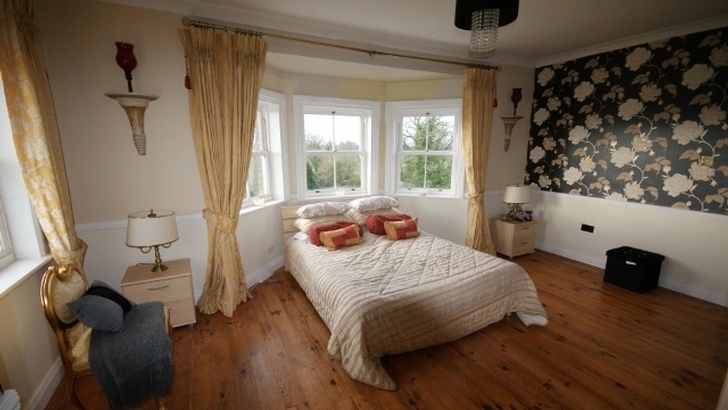 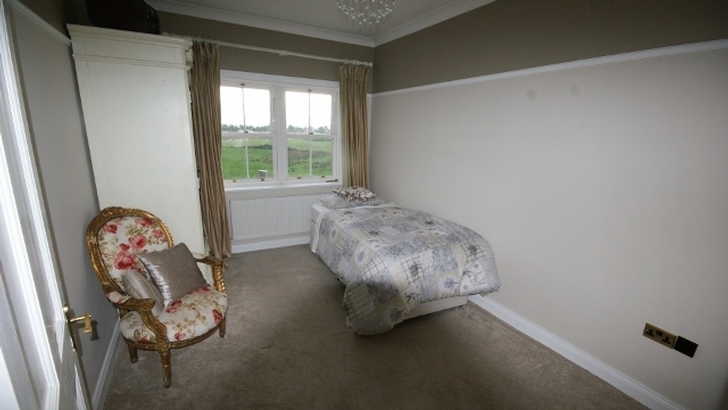 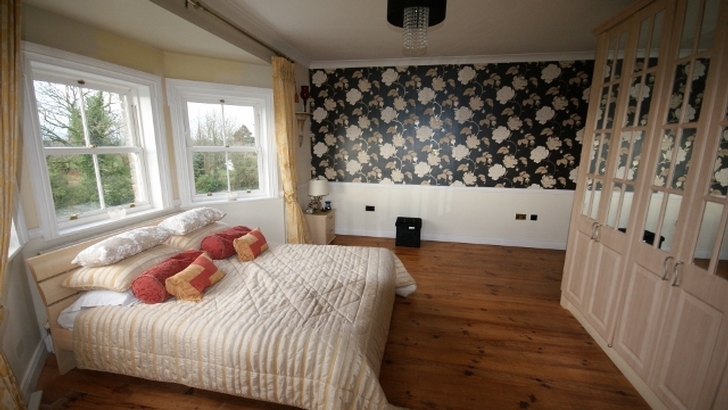 Bedroom 4: 13'7" x 10'5" c/w Carpet, Fitted wardrobes, Coving & Centre piece. 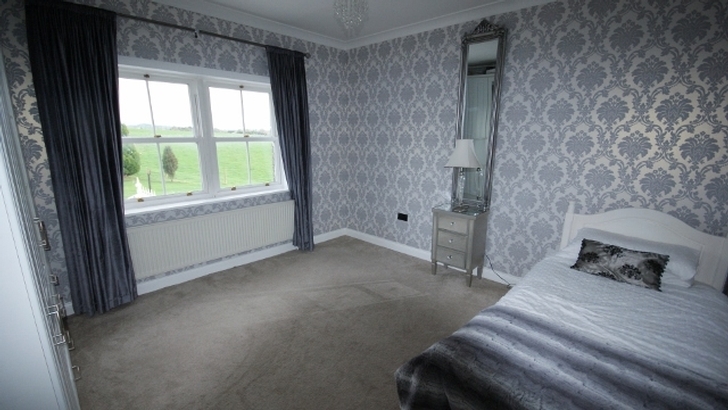 Bedroom 5: 14'5" x 9'0" c/w Carpet, Coving & Centre piece.